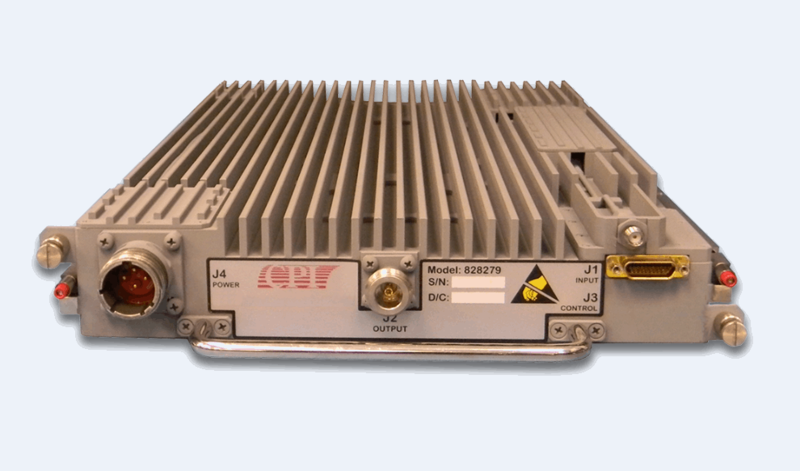 CPI’s Beverly Microwave Division presents the VSS3607 GaN solid state power amplifier (SSPAs) operating in the S-band (2.7 – 2.9 GHz). These high efficiency, high power, compact amplifiers are easy to maintain, and are designed for use in air surveillance radar applications. The SSPAs feature air cooled GaN transistors that are combined into 1.3 kW bricks, which are power-combined using radial combiners and waveguide combiners. The GaN transistors provide high gain, high efficiency, and excellent pulse fidelity resulting in exceptional AM/PM, phase-noise, and spectral regrowth performance. Download the datasheet for more information regarding the S-band GaN SSPAs.